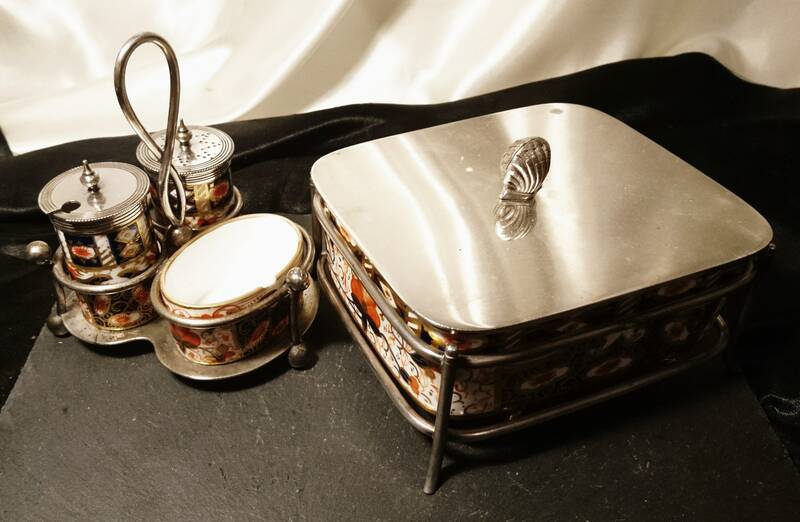 A very attractive set here a cruet set with stand and a butter dish with stand. 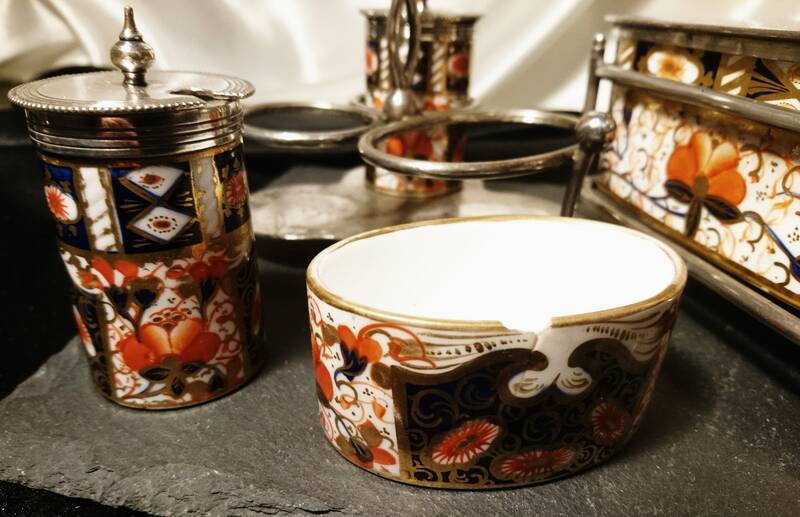 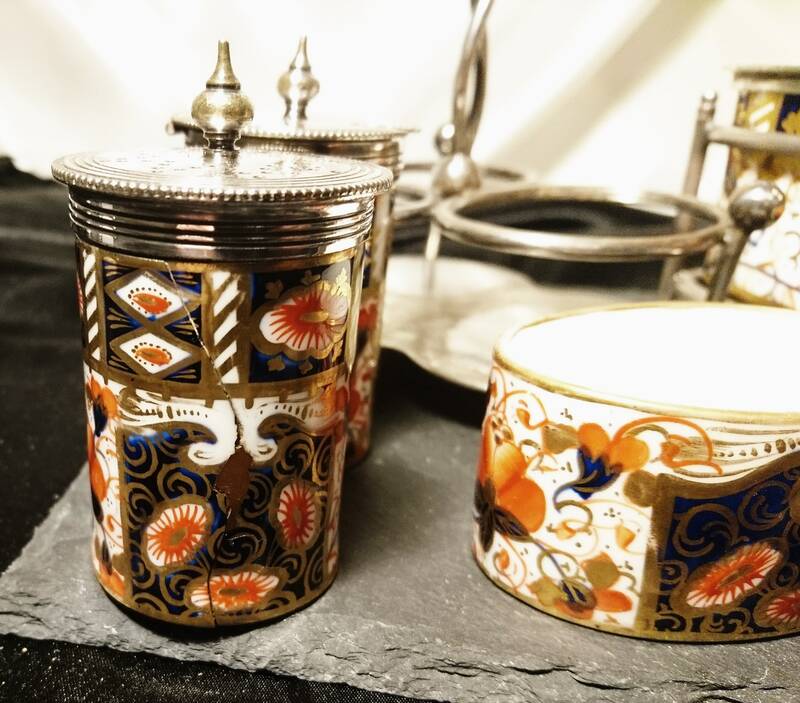 The liners are made from ceramic with a rich cobalt blue, deep red and gilt accents in a 'witches imari' pattern by Davenport, Longport, Staffordshire, red stamp on the underside of each piece. 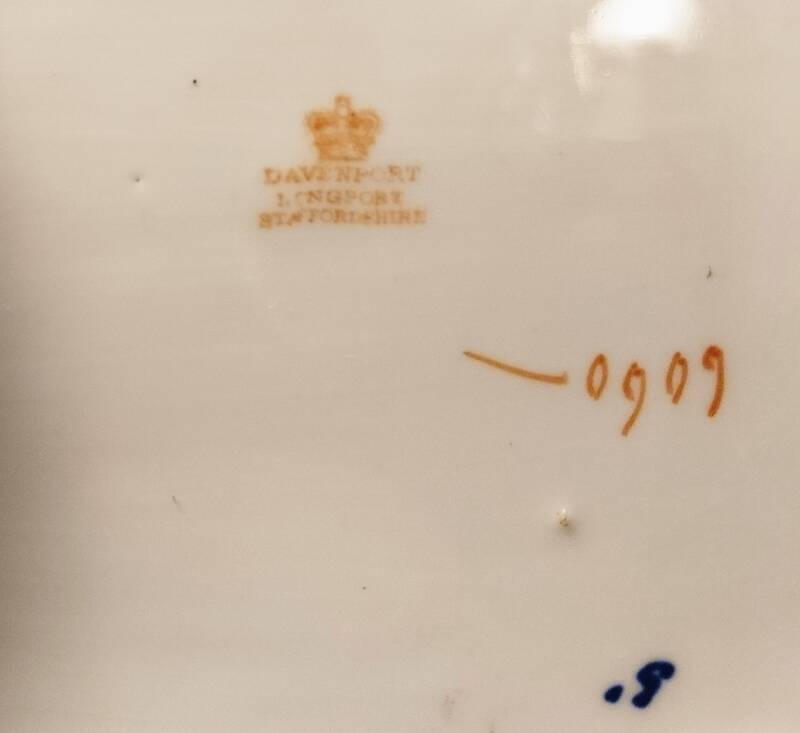 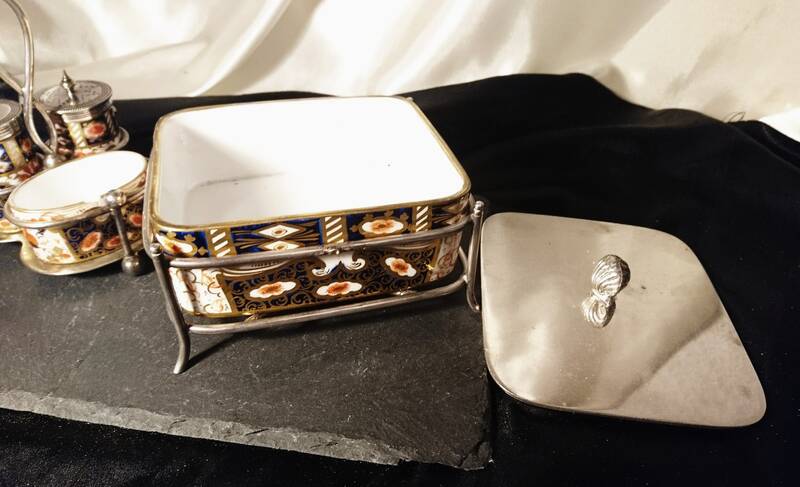 The stands and lids are silver plated and the butter dish has a decorative clamshell finial and the plate is marked for James Dixon and Sons. 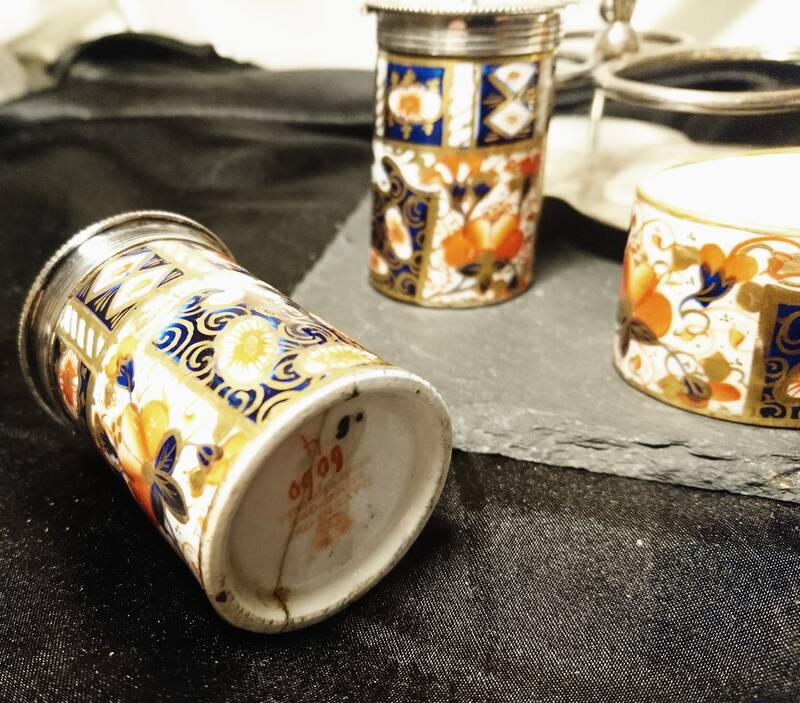 It shows some signs of wear and age, it has a small chip to the edge of the mustard, the pepper pot has an extensive repair but is relatively strong, the butter dish would have had a carry handle but no longer does, the price reflects this. 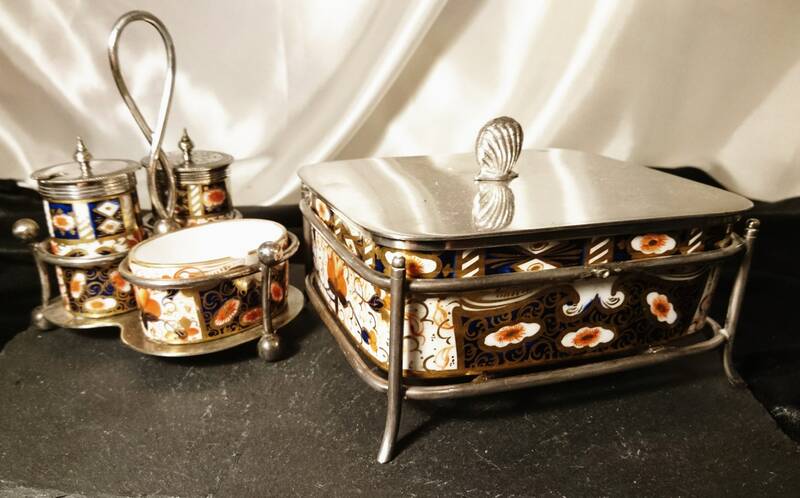 Apart from the above mentioned it is in a good antique condition and by two very renowned manufacturers. 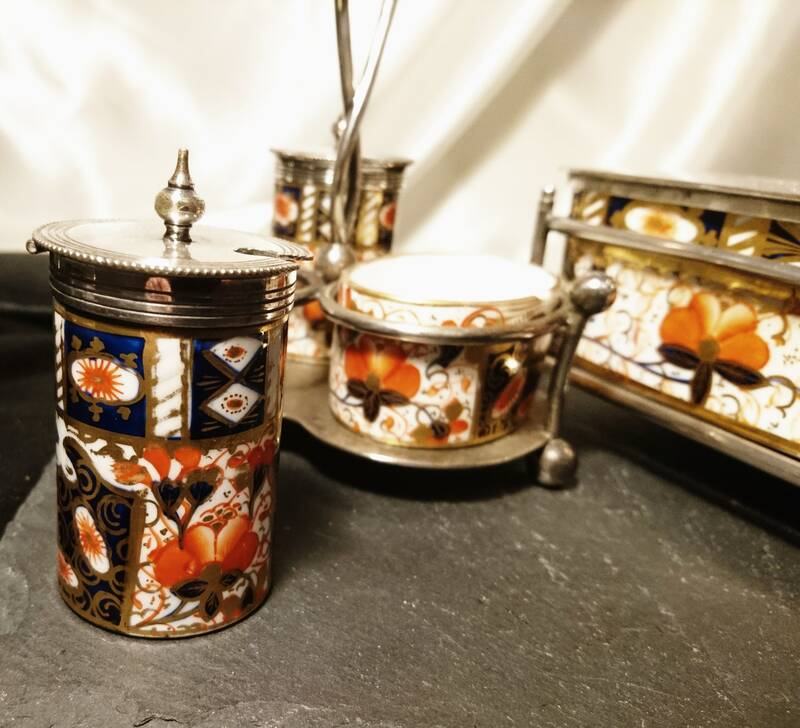 Cruet - 4.5" height, 3.5" length and 3" width.